YOU LOVE US: MANIC STREET PREACHERS IN PHOTOGRAPHS 1991-2001 by TOM SHEEHAN. Available in a Deluxe and Super-Deluxe edition, the latest in the series of books from the archives of legendary music photographer Tom Sheehan, features his extensive work with one of the most important and successful UK bands of the last quarter century and welsh rock icons, Manic Street Preachers. 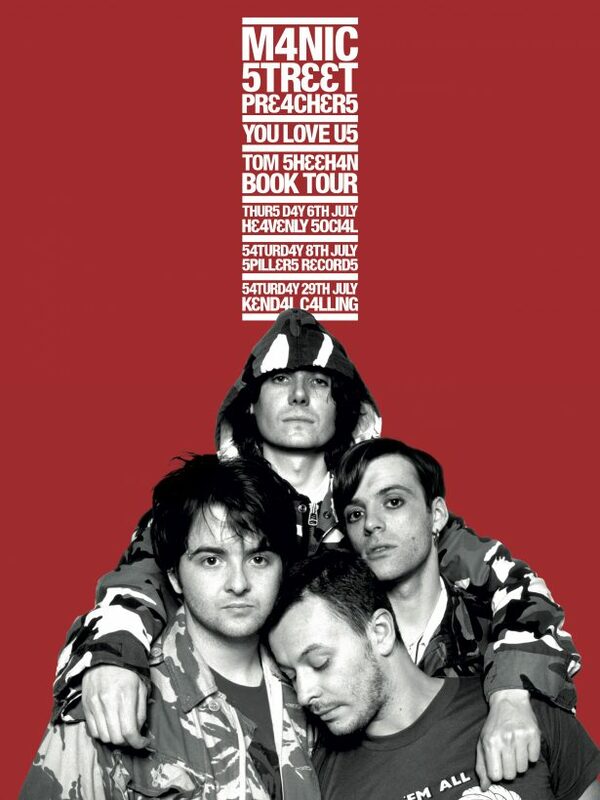 Tom will be in attendance signing copies of the book and we’ll be displaying some very special and iconic Manics images from Tom’s archives on the night as well!